Jigsawlite is a simple jigsaw-puzzle-maker application that runs on your desktop and enables you to make your own digital photos into your original jigsaw puzzle games. Easy-to-use drag-and-drop-and-play: Jigsawlite's rich and simple user interface allows you to directly and quickly import an image file from any file storage available on your computer into the application and enables you to accomplish your jigsaw-launch, by a single drag-and-drop action. Automatic Tesselation: The application breaks up source image into optimised number of pieces around 50p and produces well-tesselated jigsaw by completely automated process. Durable jigsaw puzzle game: The game playable on the application is a rather traditional and durable drag-and-drop jigsaw puzzle game consists of nearly-freely-rotatable pieces. The game features customizable background preference, game-state-autosave functionality and more. *Adobe® and Adobe® AIR™ are either trademarks or registered trademarks of Adobe Systems Incorporated in the United States and/or other countries. Adobe® Integrated Runtime(Adobe® AIR™) is requied to install and run Jigsawlite. If the runtime has not been installed on your computer yet, access Adobe® AIR™ Download Center to install it prior to downloading Jigsawlite's installer package below. Disclaimer of Warranty: Jigsawlite is provided on an "as is", "as available" and "with all faults" basis without warranties of any kind, either express or implied including, but not limited to the implied warranties of merchantability, fitness for a particular purpose and non-infringement. Limitation of Liability: Puzzle.watype.net shall not be liable to you for any direct, indirect, incidental, special consequential or exemplary damages which may be incurred by you. This shall apply whether or not puzzle.watype.net has been advised of or should have been aware of the possibility of such damages. What kind of image file can I use on the application? You can use image files of jpeg, png or gif formats. Maximum and minimum limits of pixel resolution are 2880x2880 and 36x36, respectively. The aspect ratio of image needs to be within the range between 1:4 and 4:1. Is my picture sent to server somewhere on the internet? No, your image is never sent to any server through your use of the jigsawlite. Jigsawlite is a genuine desktop application and runs exactly-locally on your computer (except links). You can use the application without any persistent internet connection. What is the official title of the application? 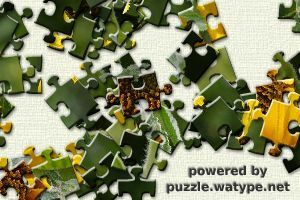 The application-name is "puzzle.watype.net/jigsawlite" and author-name is "puzzle.watype.net". But, you can use "jigsawlite" instead of the verbose official app-name, if the use of name, "jigsawlite" does not cause any infringement of third party's legal right under applicable laws. *Puzzle.watype.net do not provide any direct technical support for end users of the application. So, when some question arises out of your use of jigsawlite, please send it to puzzle.watype.net as a contribution to the Frequently Asked Questions without request of response. Thanks in advance. *If you send any feedback to puzzle.watype.net, you give to puzzle.watype.net and affliated third parties, without charge, the right to use and share your feedback in any way and for any purpose with or without attribution to you. Copyright©2008-2009 http://puzzle.watype.net/, All rights reserved.